Natasha Lyonne Is Our April Cover WomanShe starred in a high-tech shoot. The Secret to Natasha Lyonne’s Success: Resisting the Urge to Stay in BedThis week’s episode of our podcast, The Cut on Tuesdays. 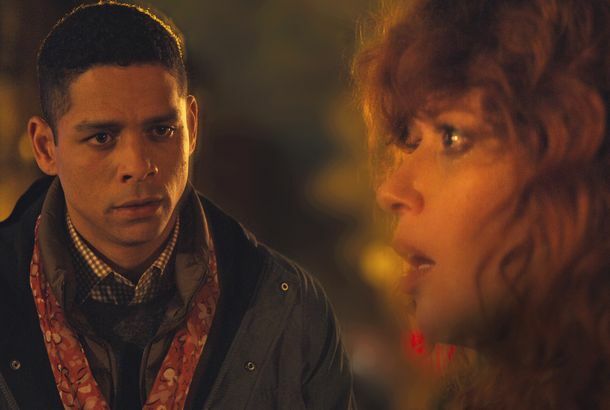 Watch Natasha Lyonne’s Absurdist Short Film for Kenzo Featuring Stylish ClownsNatasha Lyonne makes her directorial debut. Natasha Lyonne Stars in Carrie Brownstein Short Moms. The Intervention Trailer: Lots of Cabin KissingMelanie Lynskey! Natasha Lyonne! Cobie Smulders! Jason Ritter! Ben Schwartz! Alia Shawkat! Inside Bottega Veneta’s New Beverly Hills MaisonTalking Mother’s Day with Maggie Gyllenhaal and Alison Brie at grand opening party. Natasha Lyonne on Her Dream GirlfriendTalking romance at the Hello, My Name Is Doris premiere. Watch Aubrey Plaza Try to Ask Out Natasha LyonneIt’s a scene from their new movie Addicted to Fresno. Natasha Lyonne and Fred Armisen: A Reasonable CouplingArm in arm at the Emmys, reportedly. Maya Rudolph, Natasha Lyonne: Card-Carrying Members of the Bette Davis Fan ClubReminiscing about the good old days of matching pinstripe sofas.